Do you have any old school 3-D glasses at home? The really cool 1950’s style ones? 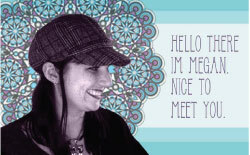 If you do, you should slip them on and let me know if this kaleidoscope art actually looks three dimensional. I’d love to test it myself, but I don’t have any old 3-D glasses lying around my house (although I guess if I was feeling super crafty I could make some…but I’m lazy). Don’t you love it when you’re creating something with a very specific style in mind, but at the last minute you experiment with something on a whim and your project does a complete 180? It actually happens to me a lot. This particular project was supposed to have all kinds of colorful rainbow edges, but when I experimented with it in Illustrator things weren’t working out the way they were supposed to. I ended up with this distracting stripe-y rainbow pattern going through the design and I hated it. I hope to keep playing with it and post a new version in a week or two, because in my head it’s beautiful (but everyone’s art is gorgeous in their head, right?). We shall see. Anyway, when the rainbow effect didn’t pan out I tried changing the lines to solid blue, and suddenly it made me think of those 3-D books where the picture is printed in red, and then again in blue in a slightly different placement. 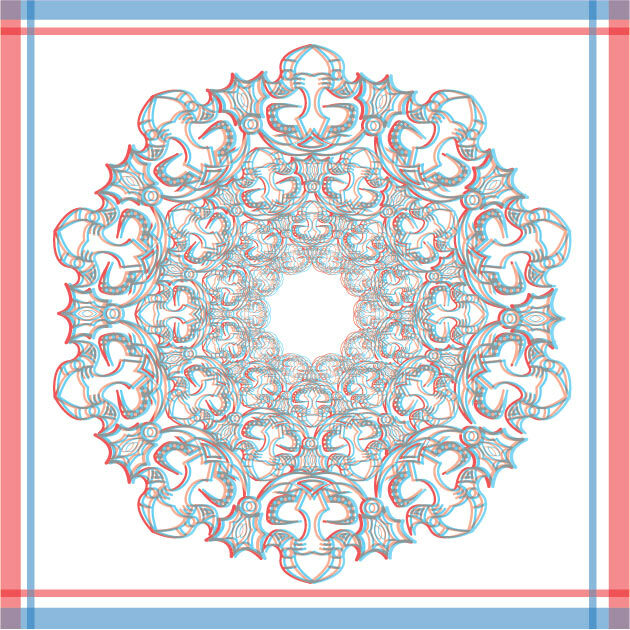 I made a couple of quick tweaks and there you go – instant 3-D kaleidoscope artwork! coolness!! I wish I had some 3D Glasses!! Love your site! !